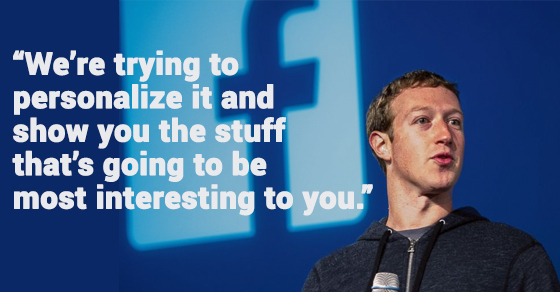 Facebook officials announced that they are changing the Facebook News Feed. It will now only show content that is of the most relevance to the user. The changes will provide a better experience for users by showcasing balanced updates from public figures, publishers, business and community organisations, as well as friends in the News Feed. Now, users can be expected to see posts that are more relevant to their interest and what they want to learn about. In general, Facebook will be ensure that there are less spam content on your feed. With the first update, Facebook wants to provide more content to the users that usually do not get enough of it. In the past, Facebook used to hide multiple posts from the same source. This was a way to prevent spam. Now, the leading social network is bending that rule a bit to provide the user with high quality content, even if it comes from the same publisher. The second update is concerned with showing you the most relevant posts from friends you care about. Those include status updates, photos, and videos which will be shown higher in the News Feed. This way, you won’t miss out on any updates that are relevant to you. Since Facebook is looking to provide users with a balance of content, only pages that you are interacting with and interested in viewing will continue to have content appearing in your News Feed. Lastly, the third update is all about avoiding too many notifications for users. Each time your friends like or comment on your post, it notifies you on your News Feed. Many users have complained about seeing too much of their friends’ activity on their news feed and Facebook addresses this problem directly. You will no longer notice each interaction your friend has with a certain piece of content. For business owners, one of the biggest concern is how these changes will affect the Facebook pages. Pages play an important role for businesses’ social media marketing efforts. They allow brands and organizations to share their stories, connect with users, increase engagement, and build a fan base. With the update, Facebook claims that the distribution of a post will depend on the Page’s audience and posting activity. The reach of a post and the referral traffic may drop significantly if there are few or limited interactions with the users. This doesn’t mean that you should stop posting content on Facebook Pages, but instead, make relevant posts that are user oriented. How Does This Affect Brands? Referral traffic to media publishers has more than doubled in the last 18 months. This is good news for brands! Facebook wants media publishers to get their content out to Facebook users. Moreover, quality content will be frequently distributed and aimed at people who wants to see the specific information. To Facebook, only the right kind of content should be distributed to the their users. A number of publishers complained that their content is not reaching the user as much as before. Why is that? Because Facebook is working on spam prevention by devaluing “click bait” oriented content. Titles with unknown or mysterious characters that mislead the user in any way will have less organic reach and value those of a real significance. Additionally, post that are relatively old will not stay on top of the news feed for as long as others, especially if the engagement is low. Mark Zuckerberg explained that due to the number of users and brands, a regular user has around 1500 stories floating around their News Feed every day. The user sees and reads approximately 100 stories out of 1500 because only the highest quality content will be distributed and kept for longer periods of time. What Should Brands Do Now? Some might panic and think to themselves that Facebook Pages are worthless. However, they are wrong. Pages still matter a lot and have tons of traffic each month. What businesses and brands alike should do is change their social media strategy. Facebook pages offer a way for brands to build their online identity and organise communities of users, who are relevant to their field of work. Brands that advertise correctly are receiving huge amounts of traffic, but what is the right way of getting your product or out there? All you need to do is think outside the box. Posts such as “Click Here to Enter a Competition and Win Money” will not be considered as correct ways of advertising. Rather, what you should do is perform an analysis of your target audience and see what they are really interested in. After that, comes the creative part. Give them interesting and engaging content that will be useful in their daily lives or make them laugh, think, and engage. 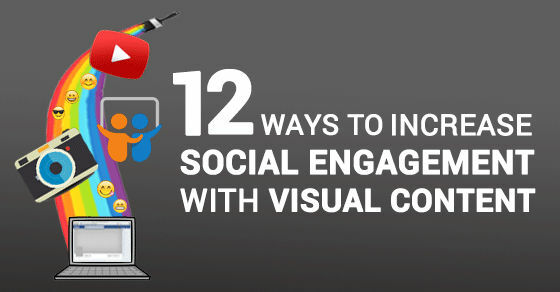 This way, you can generate more traffic and connect with your fans in a more personable level. In addition to your campaigns or targeted posts on Facebook, you can promote your products and services through Product Ads. It is designed to help businesses sell their product more efficiently. What’s great about targeted ads is the ability to customize your target audience. Facebook allows you to do behavioral targeting, which helps to avoid promoting your products to people that aren’t interested in your business. You can customize your audience from age, demographic, behaviors, location, and interest. With the new multi-product ads, you can showcase more than one product to users. The more customized your ads and post are, the higher the chance of it being displayed to relevant users. On some mobile devices Facebook videos start playing automatically. Due to the fact that approximately 1.5 billion people use Facebook for mobile, you can imagine why it is a good strategy. You will get Facebook’s support. They want you to provide the users with as much useful content as possible, but not only in text format. Advertising on Facebook should be balanced which means you should utilize all forms of media. Your strategy might need to change if you want to stay relevant on the Internet. Of course, you’ll still have to provide high-quality content for your users, but that’s already a given. Nowadays, you can hardly go without a Facebook Page. Although, these updates may cause a little bit of disruption for Businesses, having a good social media strategy will continue to keep you on top of the News Feed. 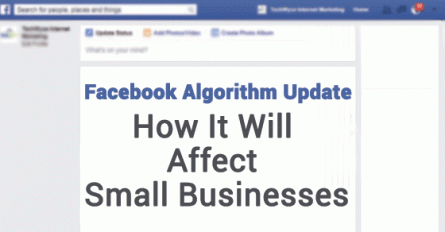 Share with us in the comments below what your thoughts are on this Facebook algorithm update! Oscar Waterworth is a writer from Sydney, Australia. A father of two and a working man, he somehow manages to find the time to write up an occasional blog post. In his free time he likes to read about technological advances, play futsal, and build stuff with his kids. Hi Curtis, I see your point and agree that advertising now has to be fresh and creative. It has to somehow reach people, so that they can remember your company in a good light. When you keep the user happy, you will have a positive online identity. As for the big dogs, what can I say? It has always been like that but, remember, they had to start from something too. So do not give up, and do not think of Facebook as the only means of advertising. It is just a part now, keeping your brand’s name alive on the worlds most popular platform. There are plenty of ways one can advertise on the Internet, but it sure as hell isn’t as easy as before, and the game is changing. Let’s see if we should really give up hope for small businesses. Personally, I like to have a lot of options when browsing to buy something, and as I am aware of the mos famous manufacturer, I do not have the opinion that it is a product with the bes quality. Facebook was a great medium for targeting the individual consumer before, but now I’m not sure that this is the case anymore. If anything, with this new update in mind, advertising needs to be as creatively fresh as possible. It’s a chance to level the playing field for a few weeks, too. The smaller companies might have a chance to get a foothold before the big dogs step in and kick the stool out from under us.